About this time each year, we provide you with details regarding annual adjustments in the Social Security Disability Insurance (SSDI), Supplemental Security Income (SSI), and Medicare programs. In 2018 approximately 65 million Americans will see a cost-of-living adjustment (COLA) increase of 2 percent in their benefit amounts. Thus, come January, monthly checks will be a few dollars higher. FICA and Self-Employment Tax Rates: If you have a job, you know that you do not bring home everything you earn. For example, 7.65 percent of your pay is deducted to cover your contribution to the Old Age, Survivors, and Disability Insurance (OASDI) Trust Fund and the Medicare Hospital Insurance (HI) Trust Fund. Specifically, 6.20 percent covers OASDI, and 1.45 percent is contributed to the HI Trust Fund. Additionally, your employer is required to match this 7.65 percent for a total of 15.30 percent. For those who are self-employed, there is no “employer” to match the 7.65 percent. Thus, a self-employed individual pays the entire 15.30 percent of her income. These numbers will not change in 2018 whether an individual is employed or self-employed. As of January 2013, individuals with earned income of more than $200,000 ($250,000 for married couples filing jointly) pay an additional 0.9 percent in Medicare taxes, not including the above amounts. For the OASDI Trust Fund, there is a ceiling on taxable earnings, which was $127,200 per year in 2017 and will jump to $128,700 in 2018. Thus, for earnings above $128,700, there is no 6.20 percent deducted for OASDI. As for Medicare, there is no limit on taxable earnings for the HI Trust Fund. In 2017 credit for one quarter of coverage was awarded for any individual who earned at least $1,300 during the year, which means that an individual would have needed to earn at least $5,200 to be credited with four quarters of coverage. In 2018 the amount increases to $1,320 for one calendar quarter or $5,280 to earn four quarters of coverage for the year. This concept is often misunderstood. The amount of earnings required to use a trial work month is based not upon the earnings limit for blind beneficiaries, but rather upon the national average wage index. In 2017, the amount required to use a TWP month was only $840, and this amount will increase to $850 in 2018. The earnings limit for a blind beneficiary in 2017 was $1,950 per month and will rise to $1,970 in 2018. Remember this is not the TWP amount. This is to say that the TWP can be exhausted even if your income is well below $1,970 per month. See the above information about the TWP. 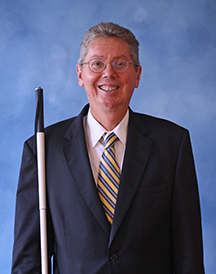 In 2018 a blind SSDI beneficiary who earns $1,971 or more in a month (before taxes but after subtracting unincurred business expenses for the self-employed, subsidized income for the employed, and impairment-related work expenses for both) will be deemed to have exceeded SGA and will likely no longer be eligible for benefits. In January of 2018, the average amount of SSDI benefits for a disabled worker is estimated to rise by about $24 to $1,197. Pursuant to the Social Security Act, a cost-of-living adjustment occurs automatically when there is an increase in inflation as measured by the Consumer Price Index for Urban Wage Earners and Clerical Workers (CPI-W). The CPI-W indicated an inflationary rate of 2.0 percent between the third quarter of 2016 and the third quarter of 2017. Thus, there is a corresponding COLA increase in 2018 and an increase in monthly benefit amounts. The federal payment amount for individuals receiving SSI in 2017 was $735 and will increase to $750 in 2018, and the federal monthly payment amount of SSI received by couples will rise from $1,103 to $1,125. In 2017 the monthly amount was $1,790 and will increase to $1,820 in 2018. The annual amount was $7,200 and will be $7,350 in 2018. The asset limits under the SSI program will remain unchanged at $2,000 per individual and $3,000 per couple. Signed on December 19, 2014, the ABLE Act will have a significant impact on resource limits associated with the SSI and Medicaid programs for those who were blind or disabled by the age of twenty-six. Traditionally, SSI beneficiaries have been required to adhere to strict resource limits such as a maximum of $2,000 in the bank for an individual receiving SSI benefits. Under the ABLE Act, however, the amount on deposit in an ABLE Account can be much higher. At this writing, the Department of Health and Human Services has not released updated information regarding deductibles, coinsurance amounts, and premiums for 2018. Updated Medicare information will be provided in an upcoming issue of the Braille Monitor. But for illustrative purposes, here are details regarding the numbers from 2016 compared to 2017. The Part A hospital inpatient deductible was $1,288 in 2016 and increased to $1,316 in 2017. The coinsurance charged for hospital services within a benefit period of no longer than sixty days was $0 in 2016. From the sixty-first day through the ninetieth day, the daily coinsurance amount was $322 per day in 2016 and rose slightly to $329 in 2017. Each Medicare beneficiary has sixty lifetime reserve days that may be used after a ninety-day benefit period has ended. Once used, these reserve days are no longer available after any benefit period. The coinsurance amount paid during each reserve day used in 2016 was $644 and in 2017 was $658. Part A of Medicare pays all covered charges for services in a skilled nursing facility for the first twenty days following a three-day in-hospital stay within a benefit period. From the twenty-first day through the one hundredth day in a benefit period, the Part A daily coinsurance amount for services received in a skilled nursing facility was $161 for 2016 and rose just slightly to $164.50 in 2017. Most Social Security beneficiaries have no monthly premium charge for Medicare Part A coverage. Those who become ineligible for SSDI can continue to receive Medicare Part A coverage premium-free for at least ninety-three months after the end of a trial work period. After that time the individual may purchase Part A coverage. The premium rate for this coverage during 2016 was $411 monthly and increased to $413 in 2017. The annual deductible amount for Medicare Part B (medical insurance) in 2016 was $166 and rose to $183 in 2017. The Medicare Part B monthly premium rate for 2016 was $121.80 per month and rose to $134 in 2017. For those receiving Social Security benefits, this premium payment is deducted from your monthly benefit check. Individuals who remain eligible for Medicare but are not receiving Social Security benefits due to work activity must directly pay the Part B premium quarterly—one payment every three months. Like the Part A premiums mentioned above, Part B is also available for at least ninety-three months following the trial work period, assuming an individual wishes to have it and, when not receiving SSDI, continues to make quarterly premium payments. Programs That Help with Medicare Deductibles and Premiums: Low-income Medicare beneficiaries may qualify for assistance through four Medicare Savings Programs. We will discuss three of them here and leave the fourth one alone because (to qualify for it each year) you must already be on it, and you know who you are. Note: the amounts below may change in 2018. We begin with the Qualified Medicare Beneficiary program (QMB) and the Specified Low-Income Medicare Beneficiary program (SLMB). To qualify for the QMB program in 2017, an individual’s monthly income could not exceed $1,025, and a married couple’s monthly income could not exceed $1,374. To qualify for the SLMB program in 2017, an individual’s monthly income could not exceed $1,226, and a married couple’s monthly income could not exceed $1,644. Both the QMB and SLMB programs are administered by the Centers for Medicare and Medicaid Services in conjunction with the states. The rules vary from state to state, but the following can be said: As of 2017, resources (such as bank accounts or stocks) could not exceed $7,390 for one person or $11,090 per couple. If you qualify for assistance under the QMB program, you will not have to pay the following: Medicare’s hospital deductible amount, the daily coinsurance charges for extended hospital and skilled nursing facility stays; the Medicare Part B (Medical Insurance) premium, the annual Part B deductible; and the coinsurance for services covered by Medicare Part B, depending on which doctor you go to (these services include doctor services, outpatient therapy, and durable medical equipment). If you qualify for assistance under the SLMB program, you will be responsible for the payment of all of the items listed above except for the monthly Part B premium, depending on your circumstances. If you think you qualify but you have not filed for Medicare Part A, contact Social Security to find out if you need to file an application. Further information about filing for Medicare is available from your local Social Security office or Social Security’s toll-free number (800) 772-1213. Remember that only your state can decide if you are eligible for help from the QMB or SLMB program and also that the income and resource levels listed here are general guidelines, with some states choosing greater amounts. Therefore, if you are elderly or disabled, have low income and very limited assets, and are a Medicare beneficiary, contact your state or local Medicaid office (referred to in some states as the public aid office or the public assistance office) to apply. For more information about either program, call the Centers for Medicare and Medicaid Services (CMS) on its toll-free number (800) 633-4227, or visit Medicare.gov.